At The Fyre Place & Patio Shop we complete all our own sales, installations, and servicing. Our sales staff and our installation crews have many years of service with us and we are proud of the quality of work performed. Having our own installation crew that specializes in the product we are installing provides you with quality, knowledgeable employees who take pride in their work. Our installers of wood burning and pellet burning products are WETT certified to insure the proper installation of these appliances/ chimney systems in your homes. No charge at home consulting for heating options. Sales & Installations of natural gas and propane products. 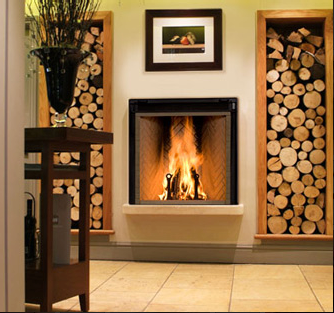 Sales & Installations of wood burning stoves & fireplaces. Sales & Installations of wood pellet stoves. Service of natural gas & propane gas fire places.